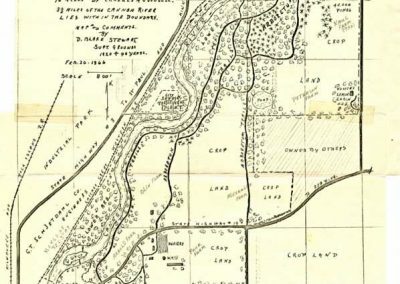 Beginning in 1927 and working over the next decade, Professor of Botany Harvey Stork sketched out his conception of a wildlife plant and nature preserve on the north side of Lyman Lakes and Bell Field. He called it the Upper Arboretum. 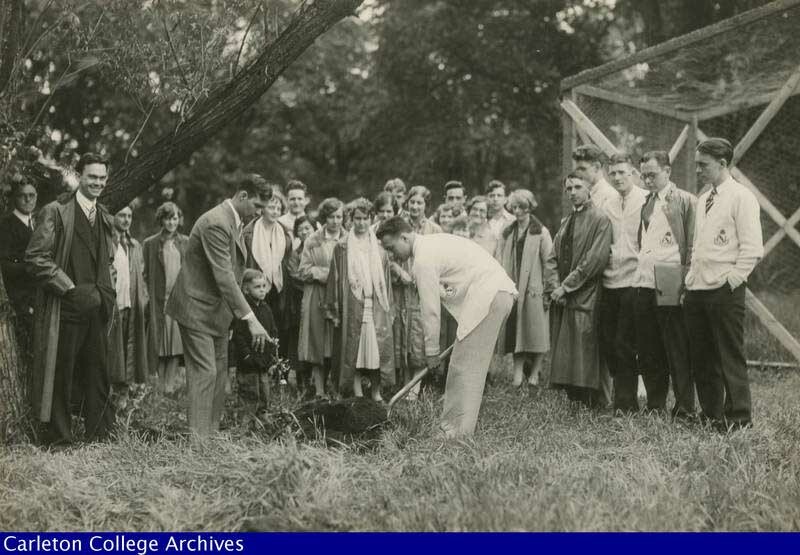 His idea was to create a field laboratory on this site where students could study plants and animals in a variety of habitats that ranged from islands, stream banks, and bogs to woods, rocks, and plateaus. Stork enlisted the help of Superintendent of Grounds D. Blake Stewart (Stewsie) to transplant thousands of trees, wild flowers, and shrubs. In their own way, Stork and Stewsie acted as the restorative ecologists of their day. 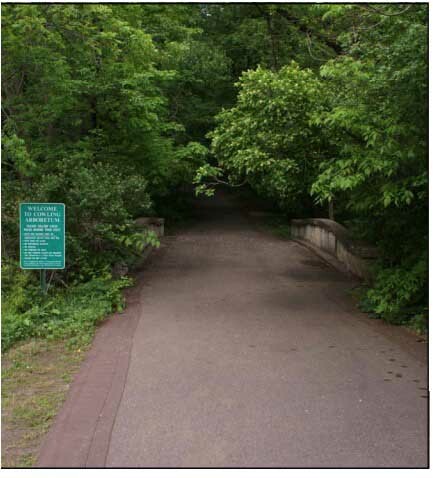 By 1931, a five-mile nature trail and a seven-mile bridle trail had been completed. 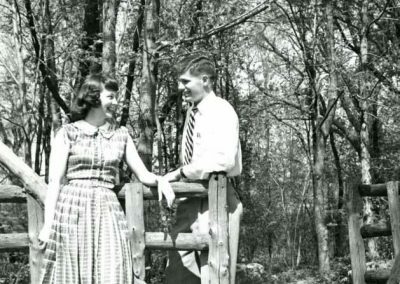 In the depths of the Great Depression, Stewsie and students, using horse-drawn earth scrapers, built a river drive flanked by two rows of weeping willows. 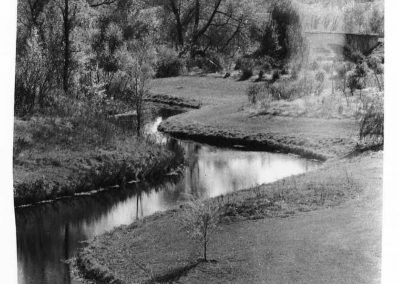 The stream that initially ran through Bell Field was rerouted around the field’s periphery to provide habitat for wild geese and ducks. 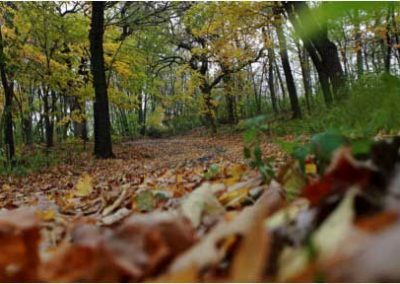 Today, both the Upper Arboretum (east of Highway 19) and the Lower Arboretum (west of Highway 19) contain 880 acres of restored prairie and woodland with a fifteen-mile trail system. 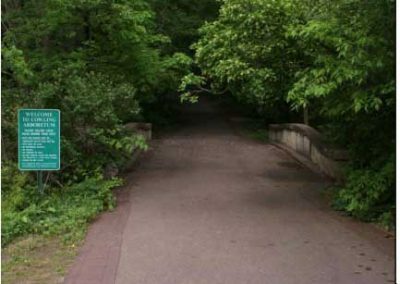 The bridge that leads to the Upper Arb from Second Street. 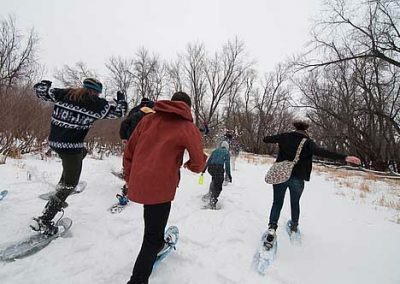 The trails in the Upper Arboretum, or “Arb,” are perfect for walking, running, and skiing year-round. Fall 2013. 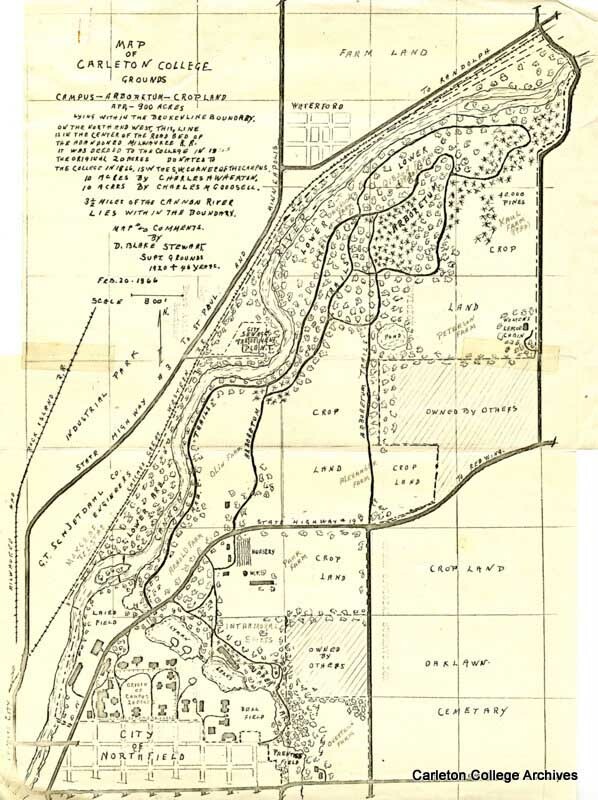 This map of the Carleton campus and Arboretum was drawn in 1966. 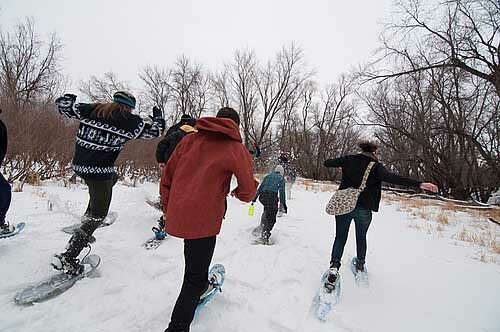 The Arb is a playground for students and Northfield residents year-round. The Class of 1927 plants a tree in the Arb. 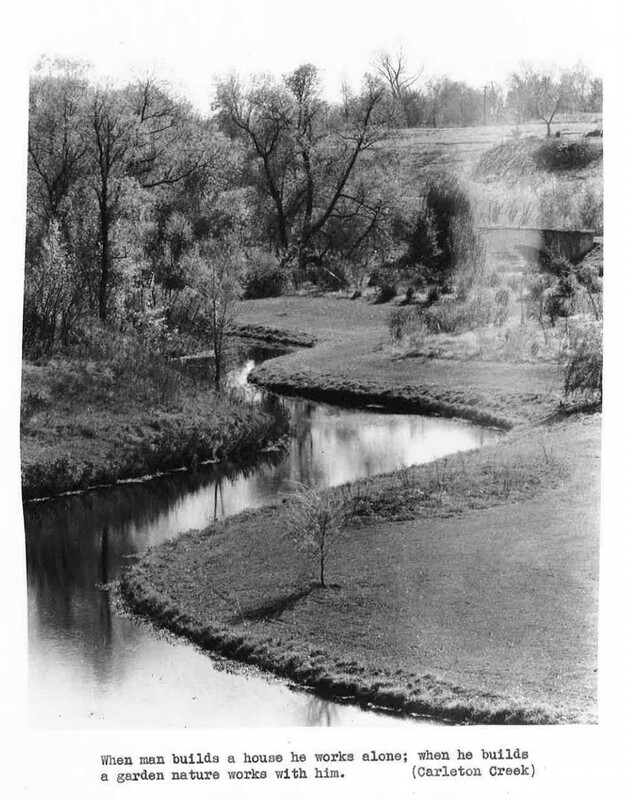 This very old picture shows the Upper Arb around Bell Field, where it was taken. 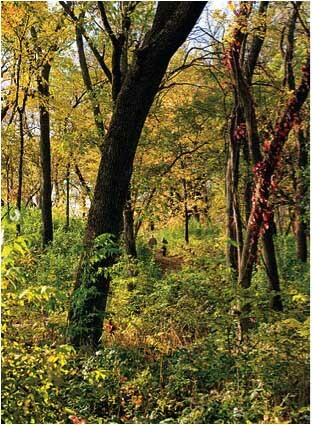 As far as we know, this native forest in the floodplain along the Cannon River has never been disturbed. This tree might be 150 years old. 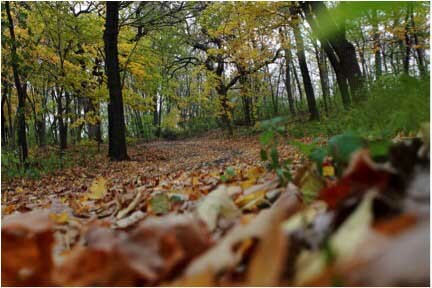 Cottonwoods need bare soil to get established, so they are found along rivers where there is natural flooding to scour out other plants. 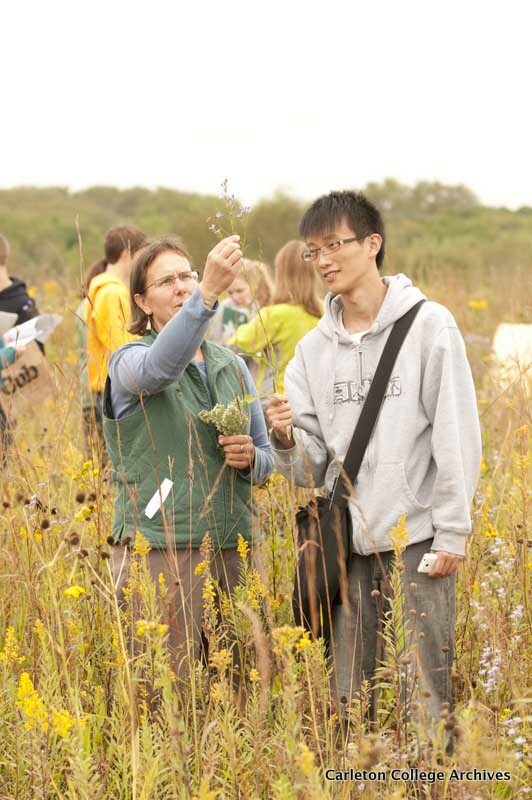 Pictured: Nancy Braker The Arb is an extension of the Carleton classroom. 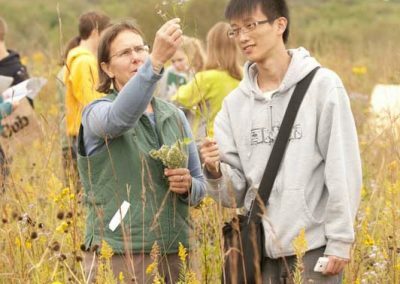 Biology, environmental studies, and art classes hike out into the Arb regularly for outdoor learning. 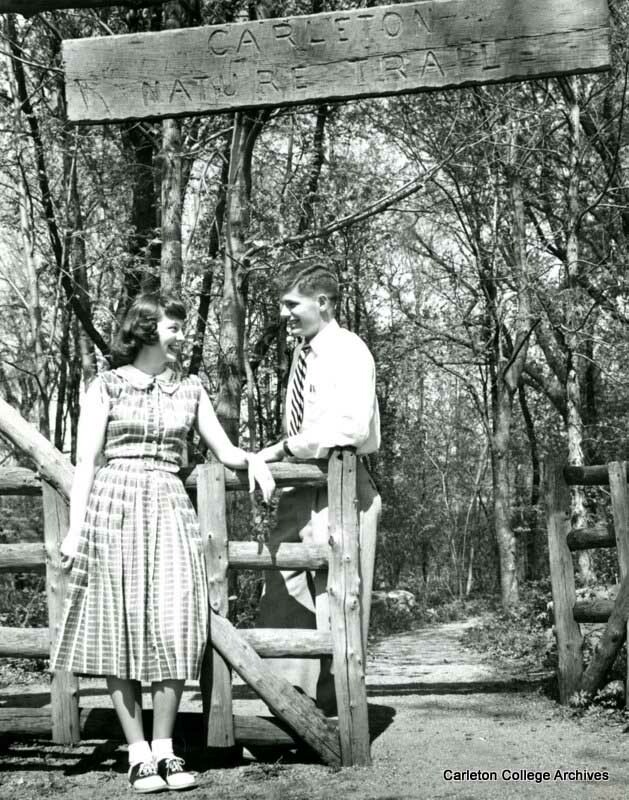 Two Carleton students enjoy a sunny stroll in the Arb in the 1950s.